As part of the Frequentis-internal study “Future of Railway Communication” at the beginning of this year, CCA implemented a functional demonstrator of a tablet-based dispatcher. The target platform for this demonstrator was iOS on iPad, though the selected technology allows the realization for Android and Windows 10 as well. The implementation within the short time frame was challenging no less, especially concerning the communication link in changing (mobile) network topologies. Within June, the cloud-based infrastructure as well as the tablet application were ready for extensive testing. Immediately the testing staff got intrigued by the lightning-fast call setup and availability without any location restriction in the 3G/LTE network. 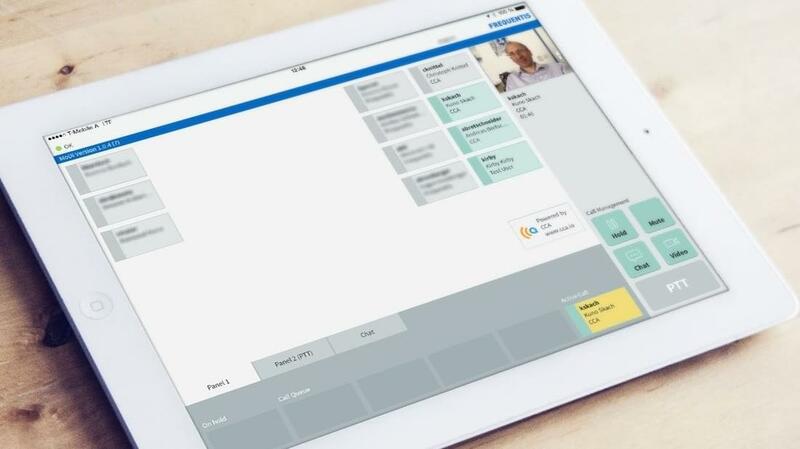 Trials with users spread over several European countries made the participants dream about new use cases using the iPad dispatcher right on site, embedding photos into chats or transmitting live video. All these ideas will be incorporated into the concept of future Frequentis communication systems. For CCA this project was another opportunity to impressively demonstrate their competence in the fields of mobile communication.